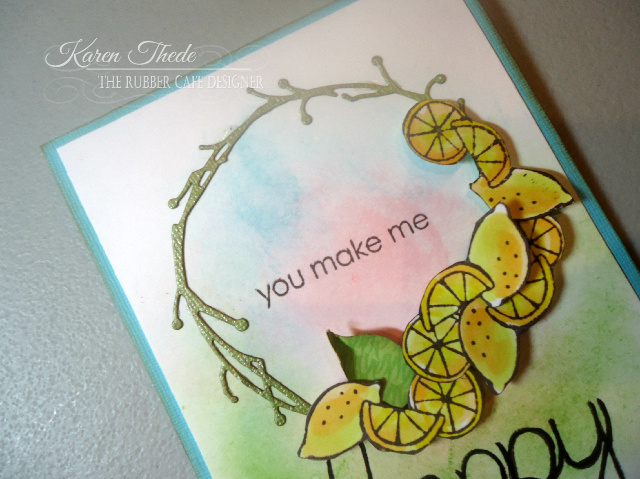 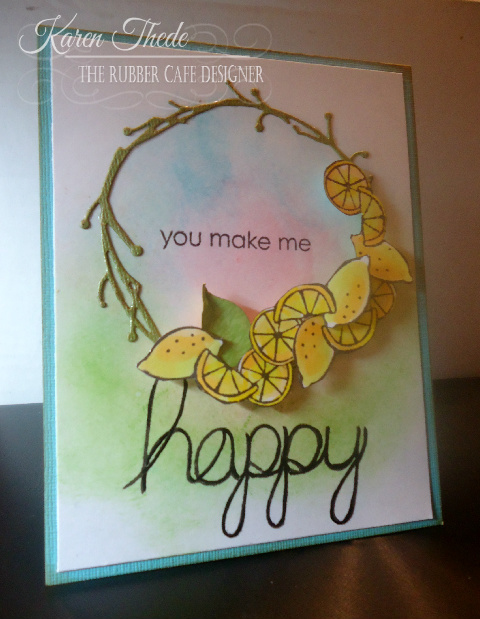 The Rubber Cafe Design Team Blog: You make me happy! Today I'm sharing a card from the last months' kit - I just love the phrases from he add-on set last month, and I also played around with creating a distress ink background. 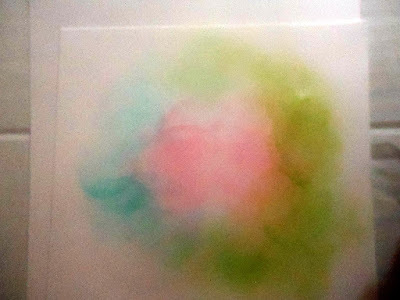 For the back ground I cut a pc at 4 1/4 x 5 1/2" in white and using Yellow; Pink; and green I created a medley of color with distress inks. Using my circular distress sponge applicator by Ranger, I just created swirls of color. To finish it up I stamped a simple phrase 'you make me' and below that the scripted 'happy' using black tuxedo Memento ink. 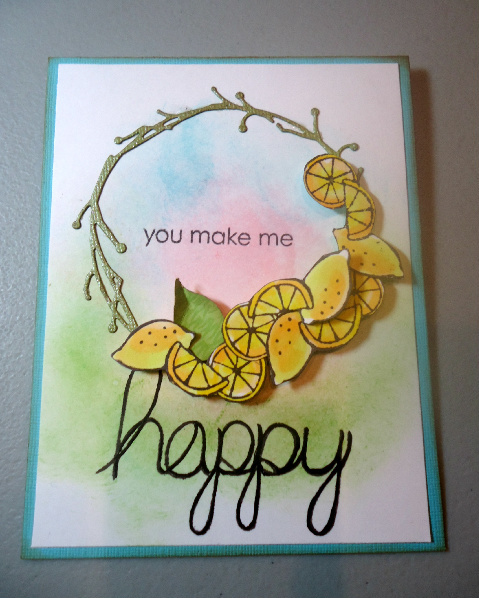 Here's another look at my card- thanks for stopping by next week I'll be back with a kit from this months kit, that I'm working on.